The O&G industry is at an inflection point in capital project effectiveness. 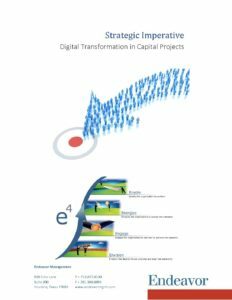 Whether you are an operating asset owner or an EPC, your company is confronted with reinventing the core of its capital projects delivery through digital solutions. Such strategic transformation requires a holistic change management process that focuses on people and work processes to achieve sustained, culturally intrinsic result from new technology and software applications.